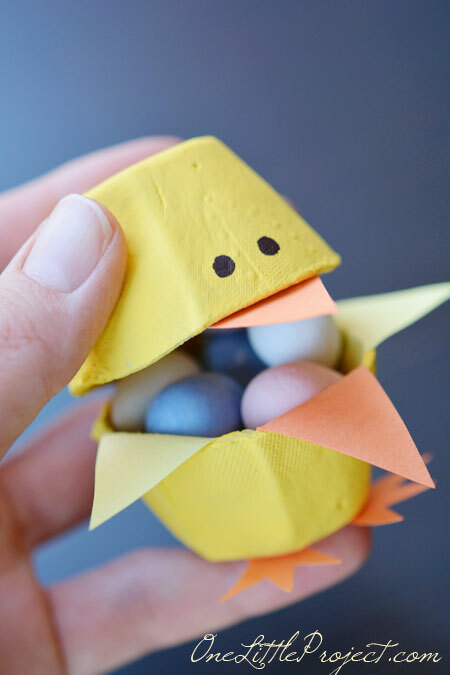 These 30+ quick and easy Easter crafts for kids can be made in under 30 minutes using items that you probably already have around the house! 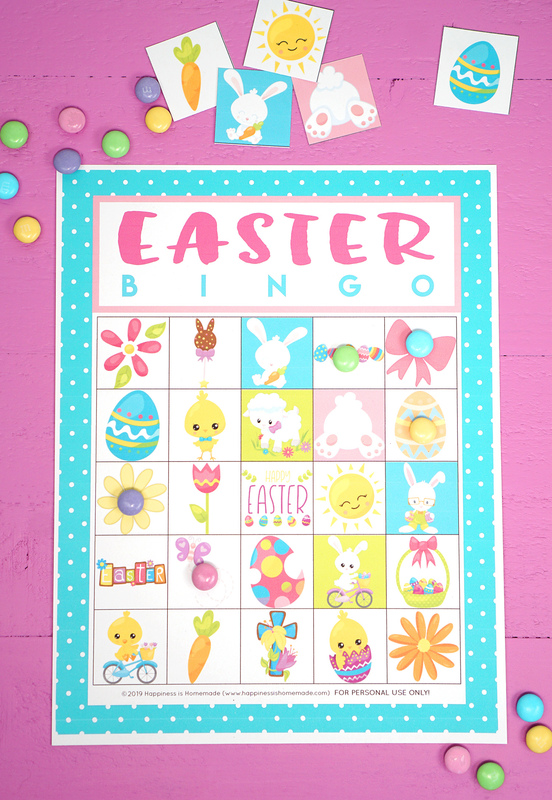 No special tools or skills are required, so ANYONE can make these cute Easter kids crafts! 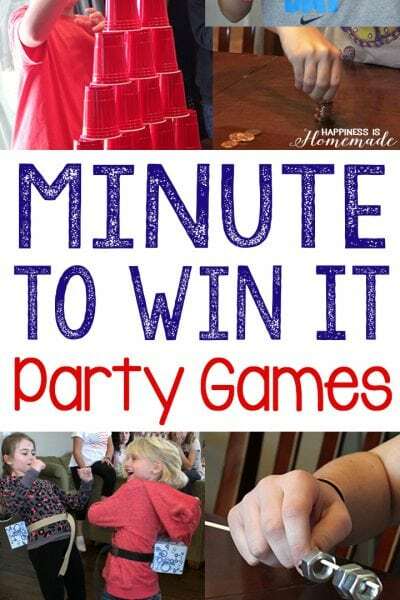 Great fun for the entire family! 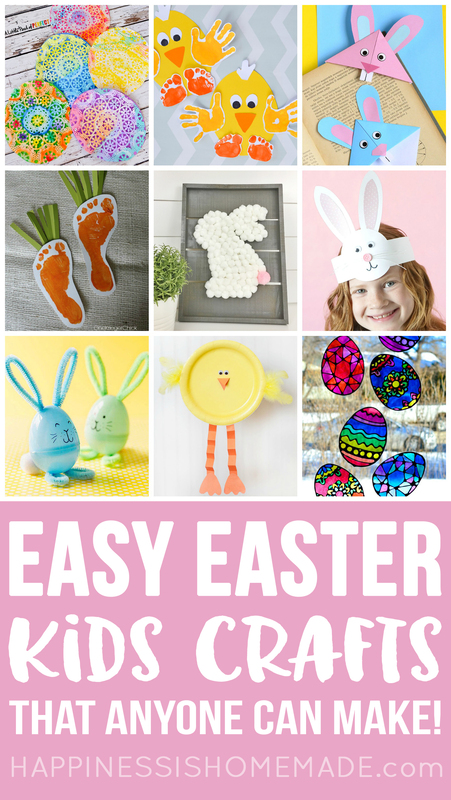 Happiness is Homemade readers LOVE our popular series of simple “Kids Crafts That Anyone Can Make!“ and today we’re adding 30+ Quick & Easy Easter Kids Crafts to the collection! 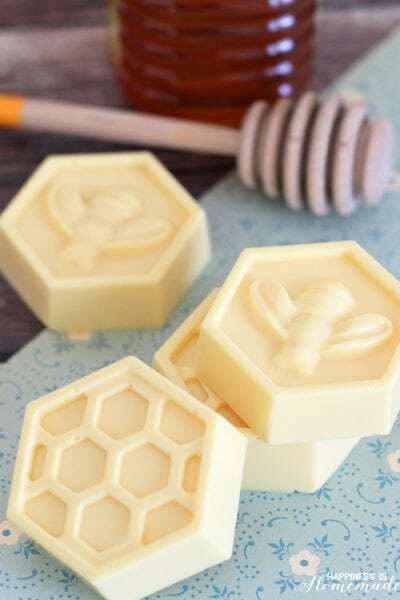 These awesome holiday-themed crafts don’t require any special tools or skills, so they’re great for parents who don’t consider themselves “crafty” but still want to spend some creative family time with their children. 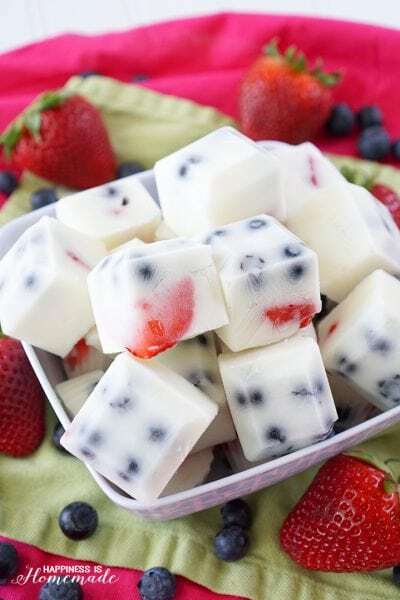 Everyone can get creative with these simple ideas! 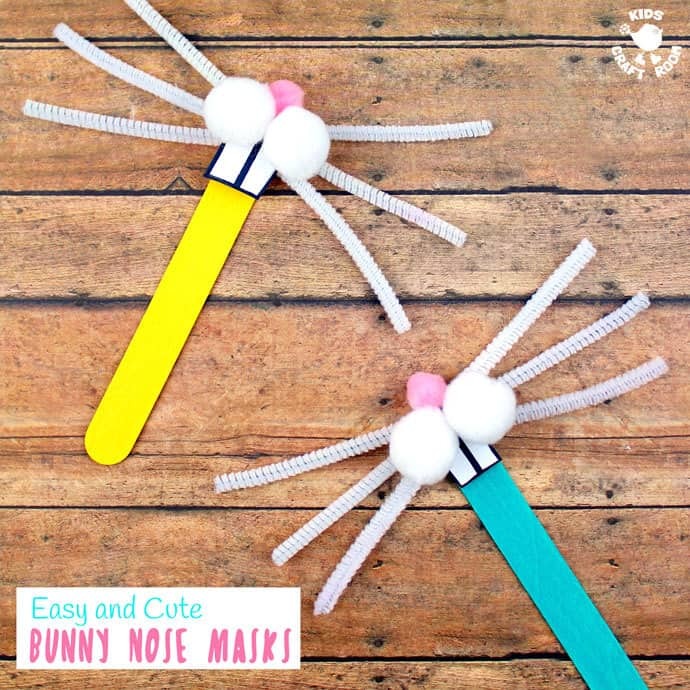 These Easy and Cute Bunny Nose Masks are quick and easy and require just a couple of materials! 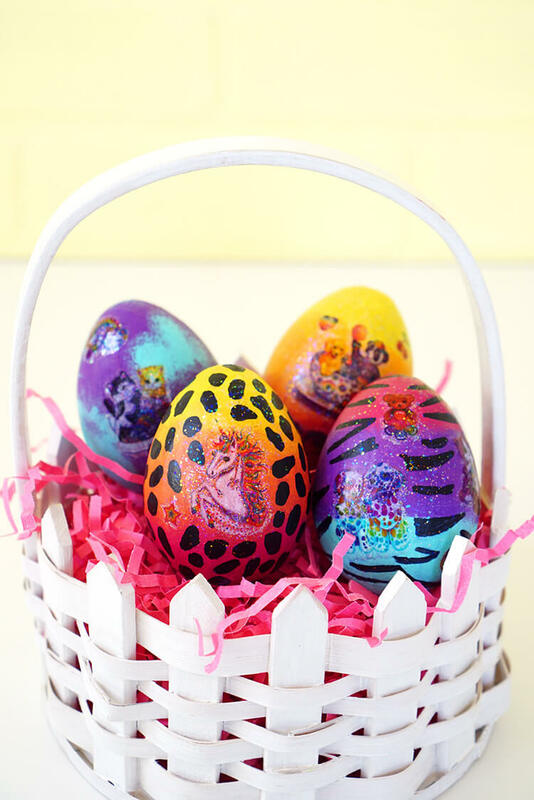 Temporary tattoos are the secret to making these colorful and fun DIY Lisa Frank Easter Eggs quickly and easily! 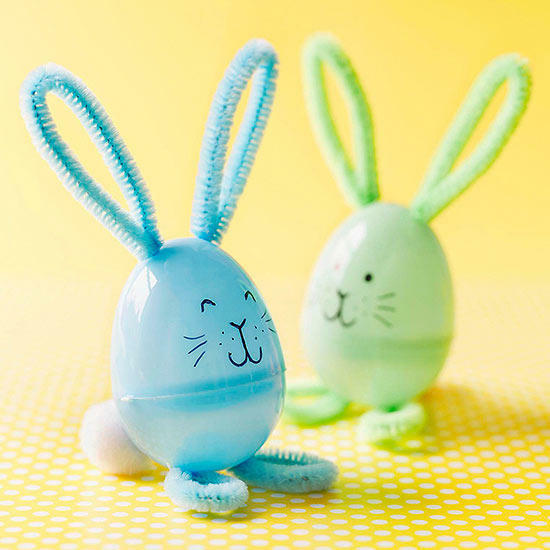 These Easter Egg Bunnies are simple to craft and would make super cute table decorations! 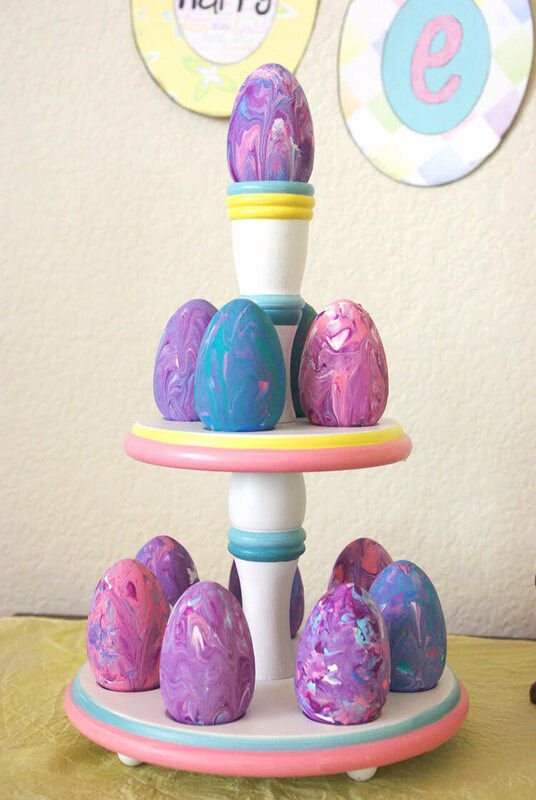 All it takes are paint, wooden eggs, and a baking pan to create these fabulous Marbled Easter Eggs! 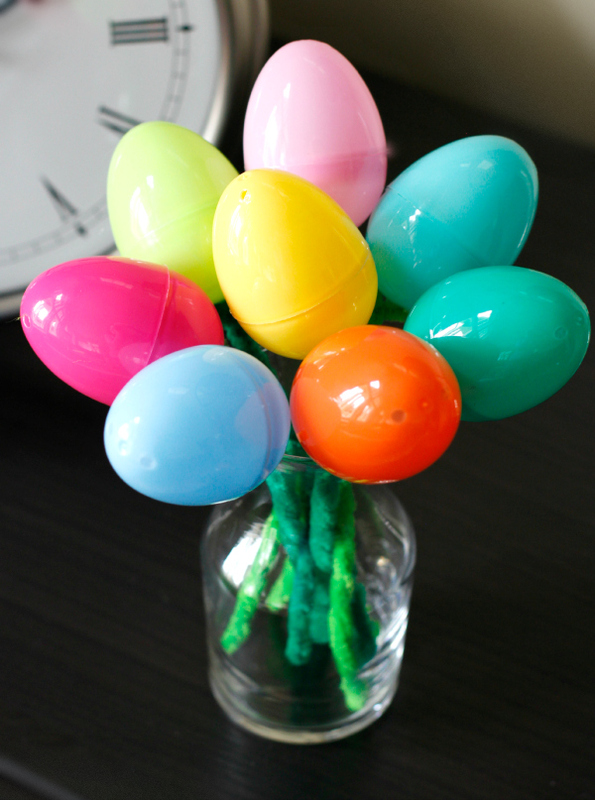 Plastic Easter Egg Flowers are a great use for all those extra plastic eggs! 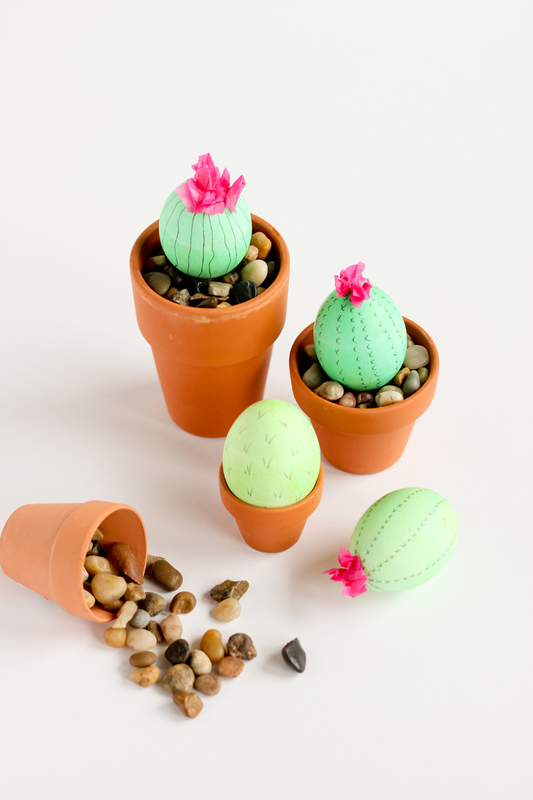 These would make fun Easter table centerpieces as well! 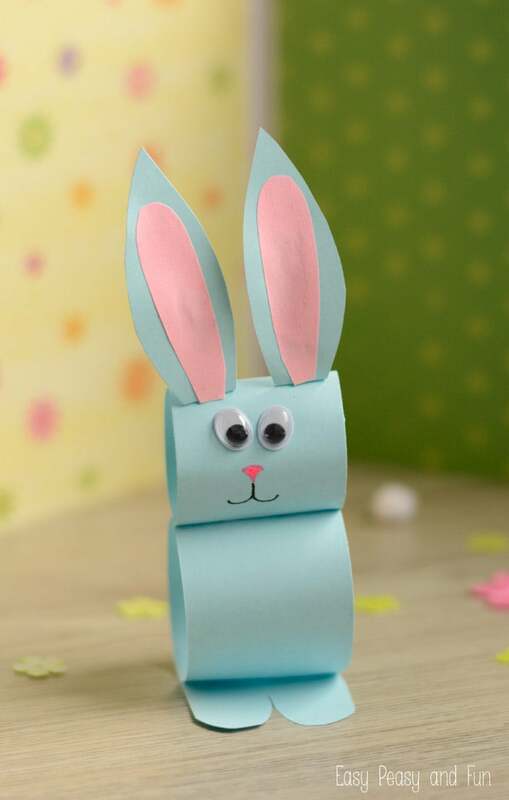 How cute is this Easy Paper Bunny Craft? 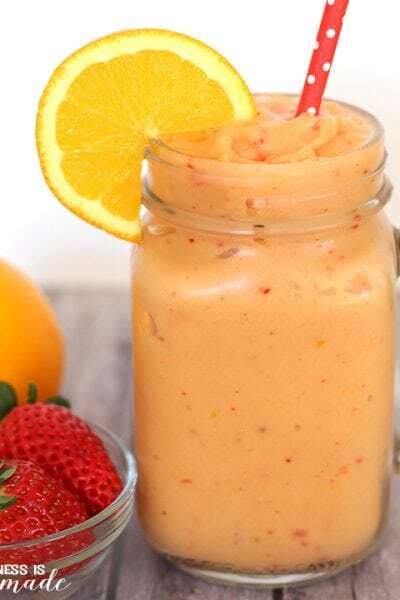 Super quick and easy to make! 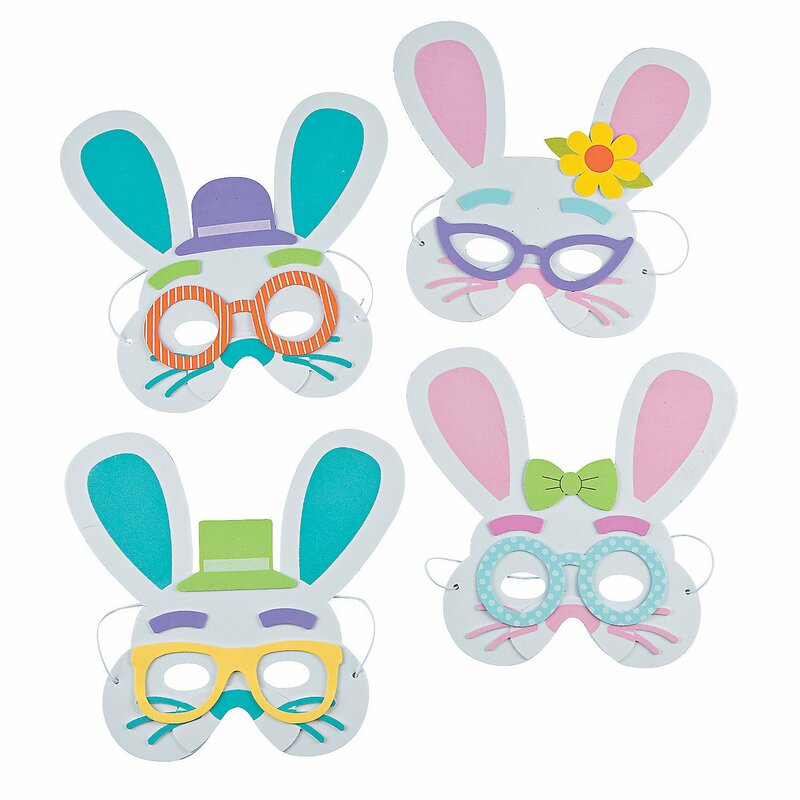 These cute Bunny Masks are made entirely of craft foam! 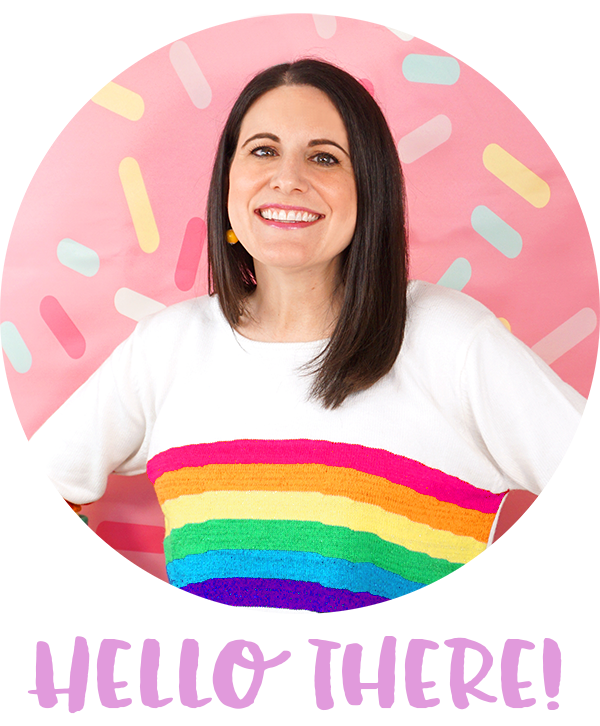 Make your own designs or pick up this easy craft kit! 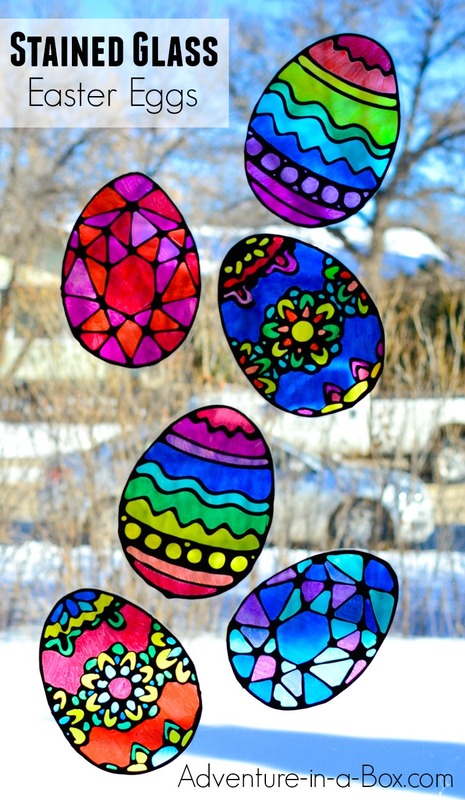 These Stained Glass Easter Eggs look so pretty with the light shining through them! 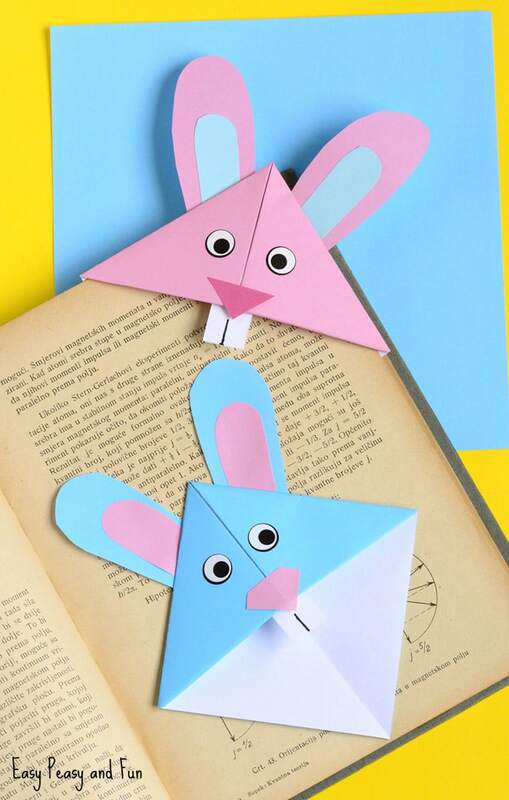 Sneak in a fun geometry lesson with these cute Origami Easter Bunny Corner Bookmarks! 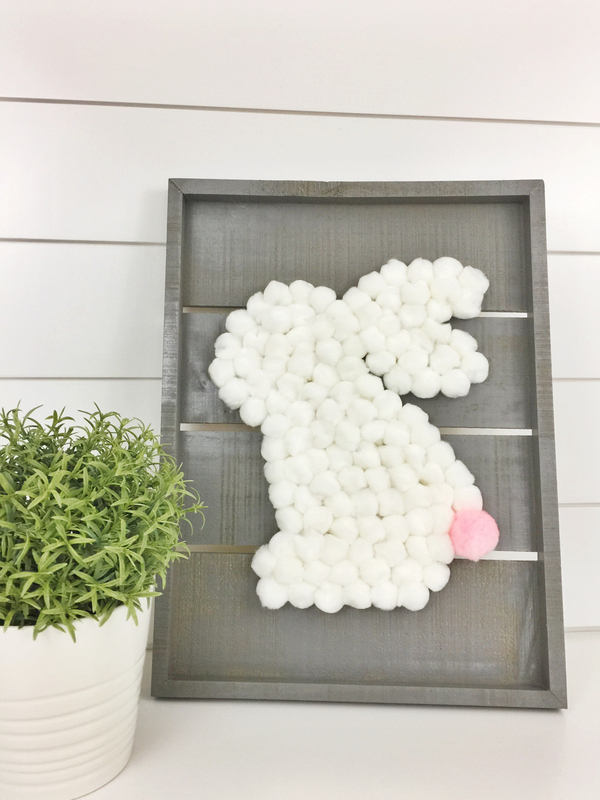 With a little adult assistance, even tiny tots can make this adorable Bunny Pom Pom Craft! 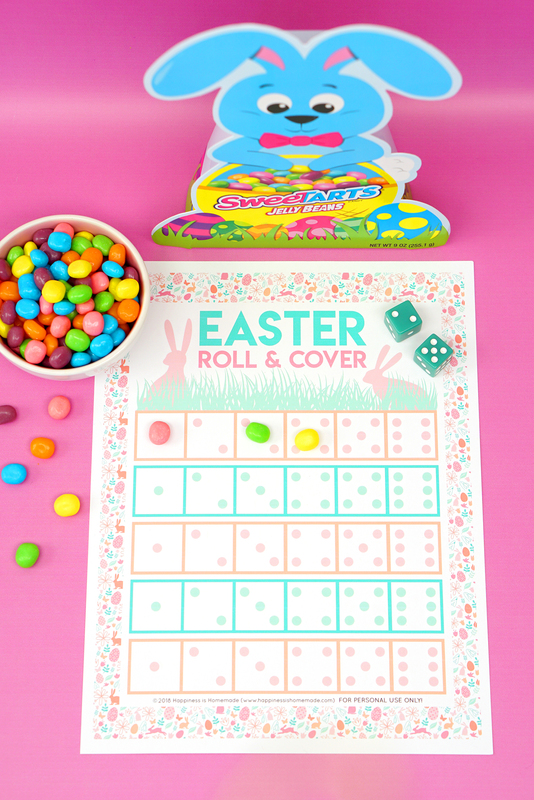 Easter Egg Potato Stamping is a classic Easter kids craft that stands the test of time! Use your potato stamped art to create cards, gift wrap, holiday decor, and more! 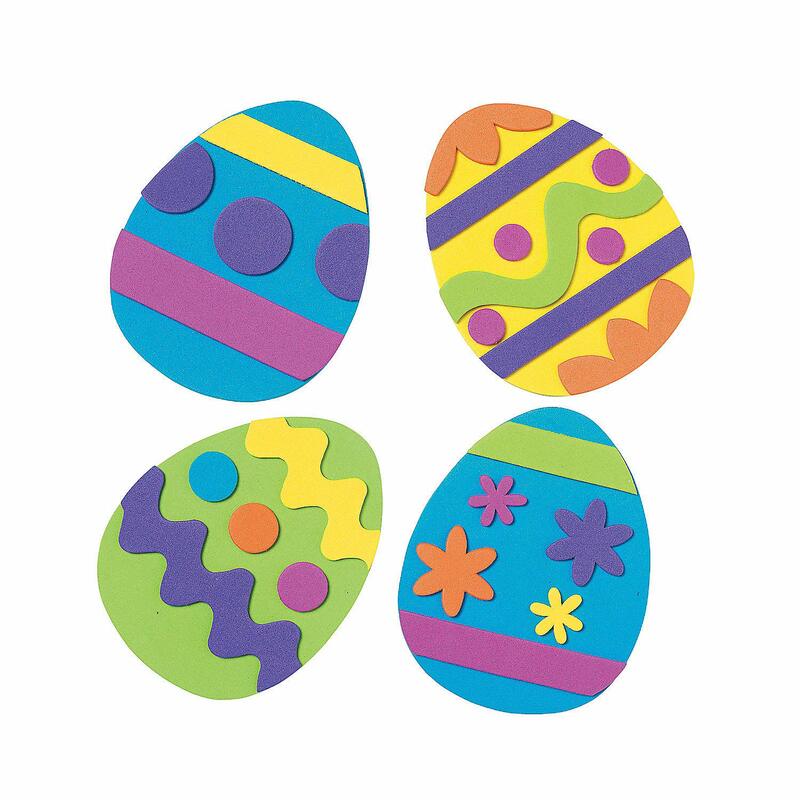 Foam Easter Eggs are a colorful Easter craft that’s fun for all ages! 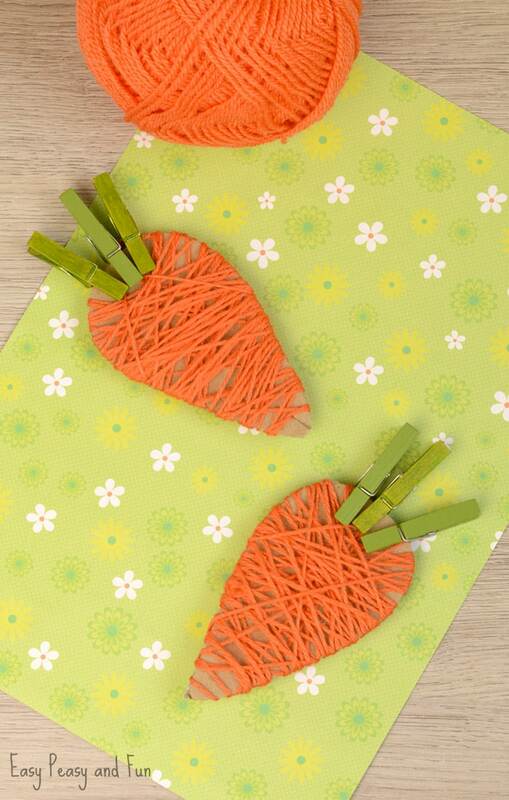 Yarn-Wrapped Carrots are super easy to make and require minimal time and materials! 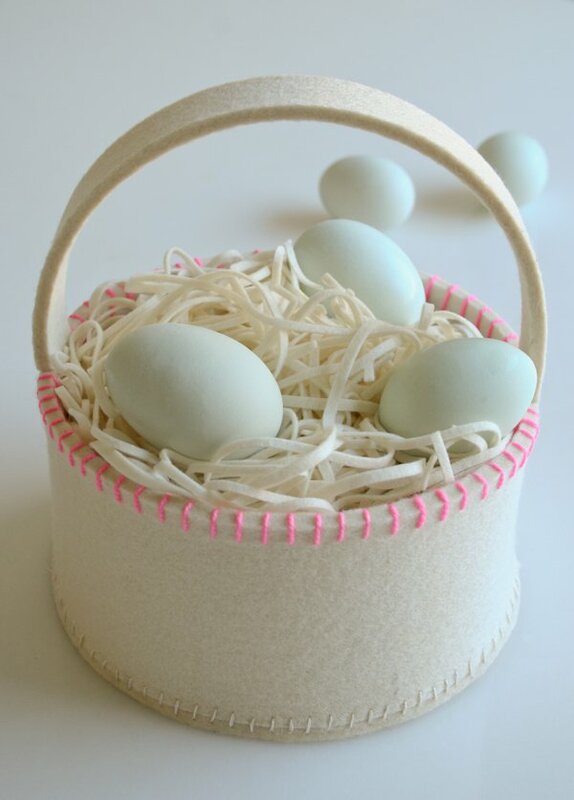 These Simple Felt Easter Baskets look WAY more complicated to make than they actually are! 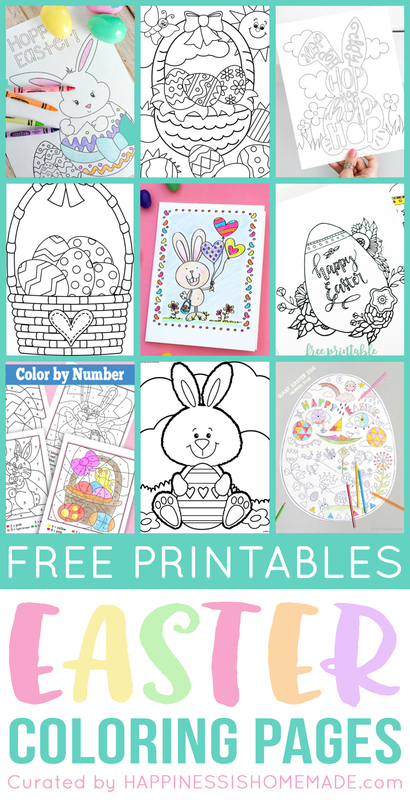 A great Easter craft for older kids! 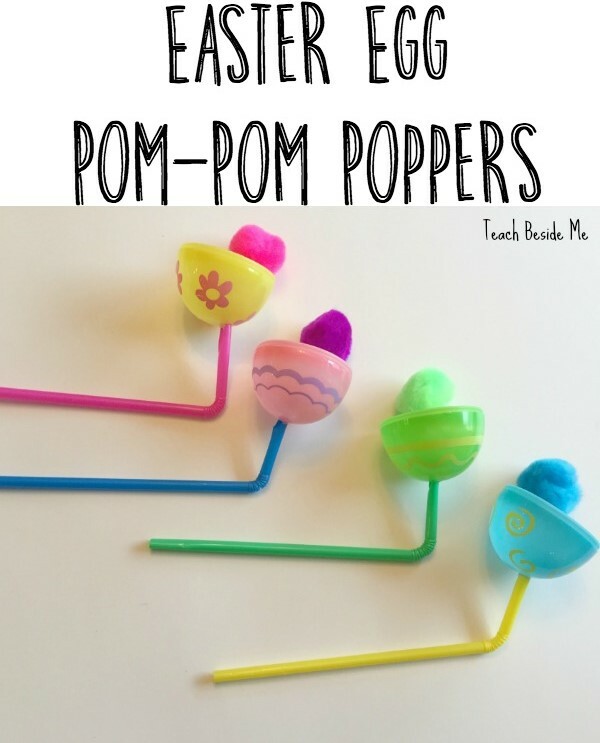 Easter Egg Pom Pom Poppers are sure to be a huge hit with all ages! So much fun! 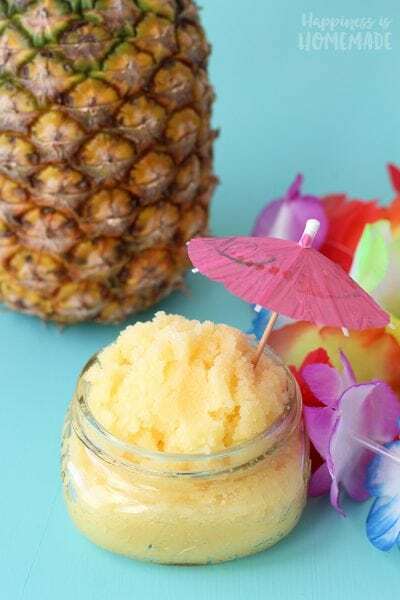 Simple Easter Treat Cups are perfect for Easter parties and a cinch to make! 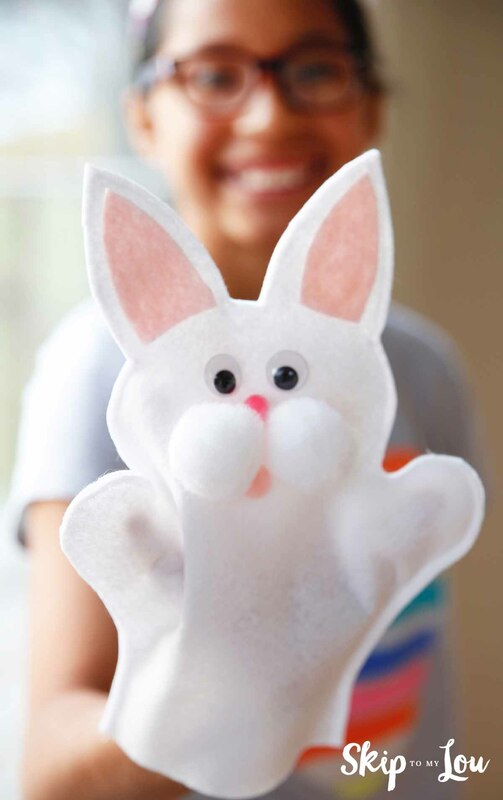 Easter Bunny Hand Puppets are easy peasy and tons of fun! 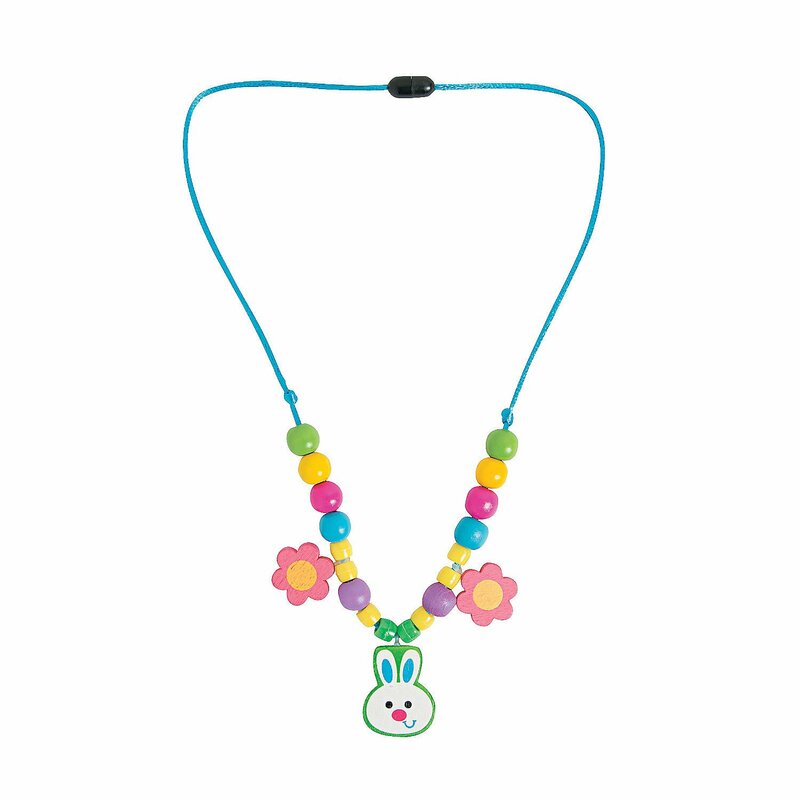 Use your favorite beads or this handy Easter Bunny Necklace kit to create your own holiday jewelry! 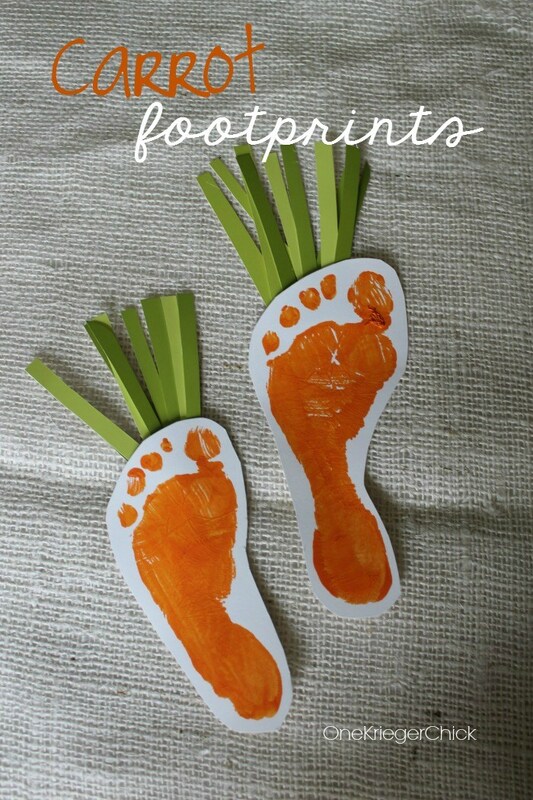 These adorable Carrot Footprints are way too cute! 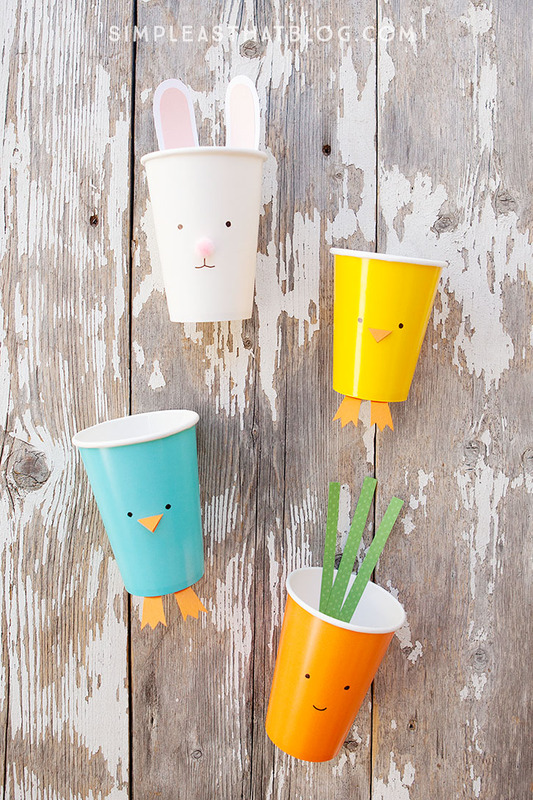 Fill these sweet Egg Carton Chicks with your favorite Easter treats! 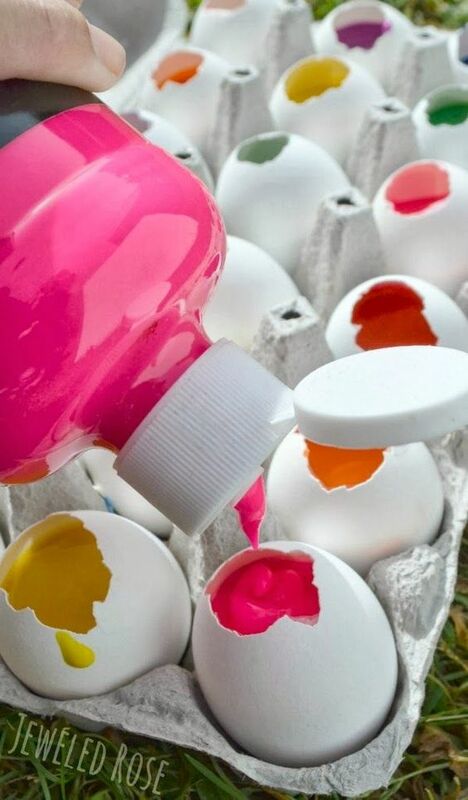 Use these colorful Paint Filled Eggs to create your own masterpiece! 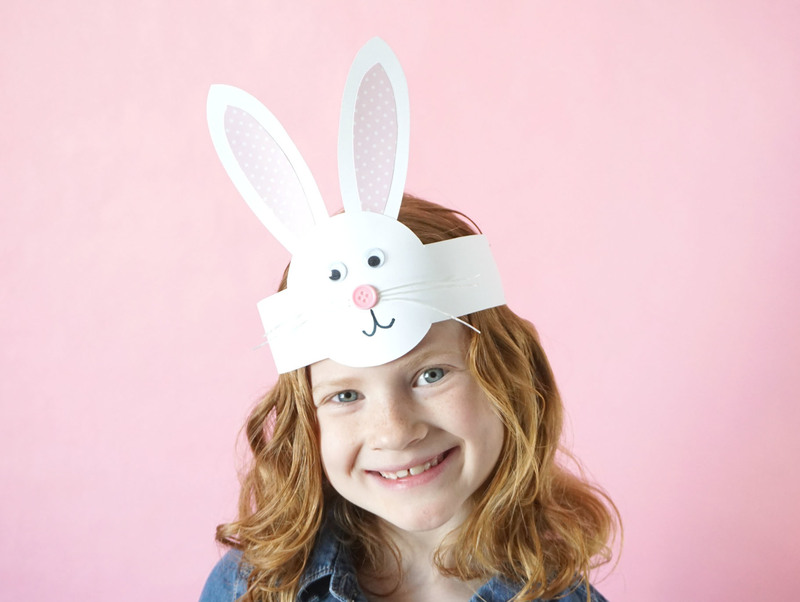 This sweet Easter Bunny Headband is super cute and super easy to make! 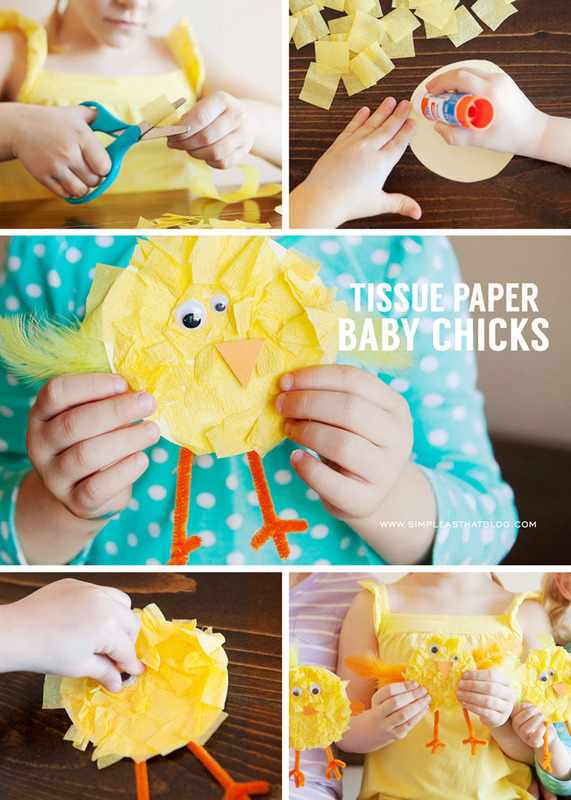 These Tissue Paper Baby Chicks are so sweet and easy enough for the littlest kids to make! 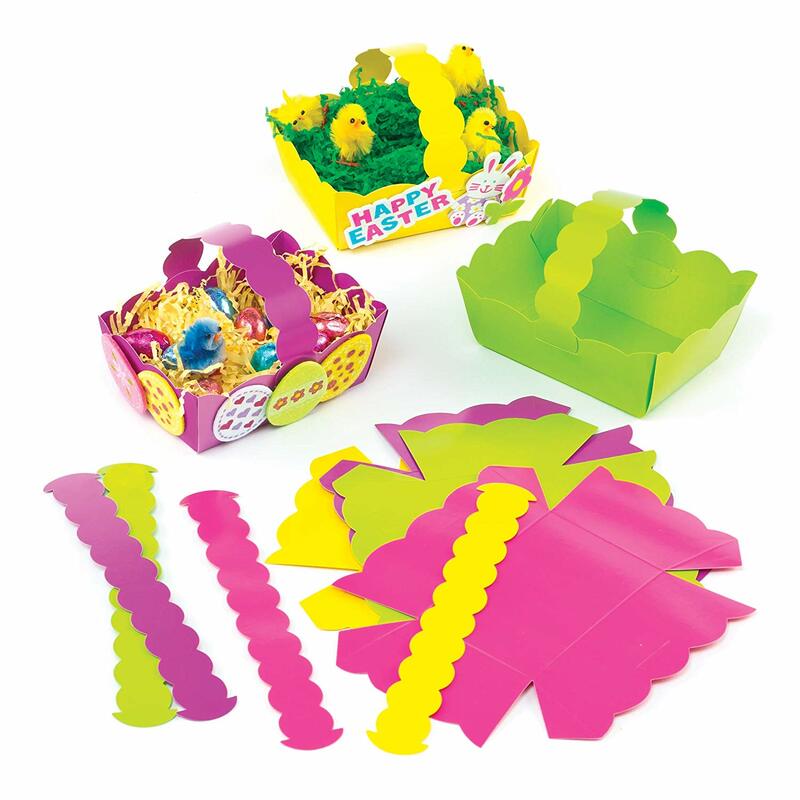 I love these easy Paper Easter Baskets! 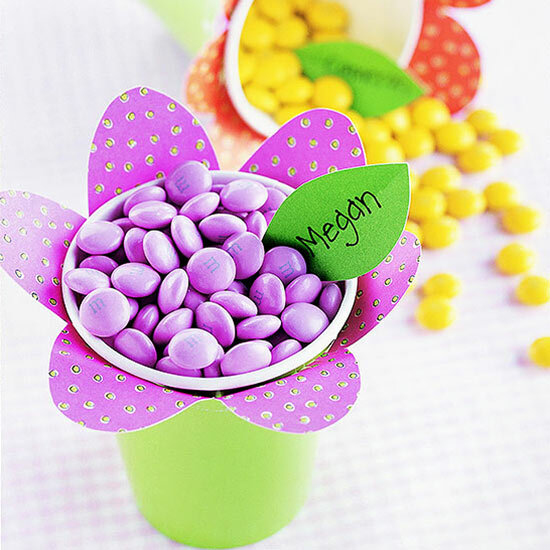 Flower Candy Cups would make a great Easter party favor or table centerpiece! 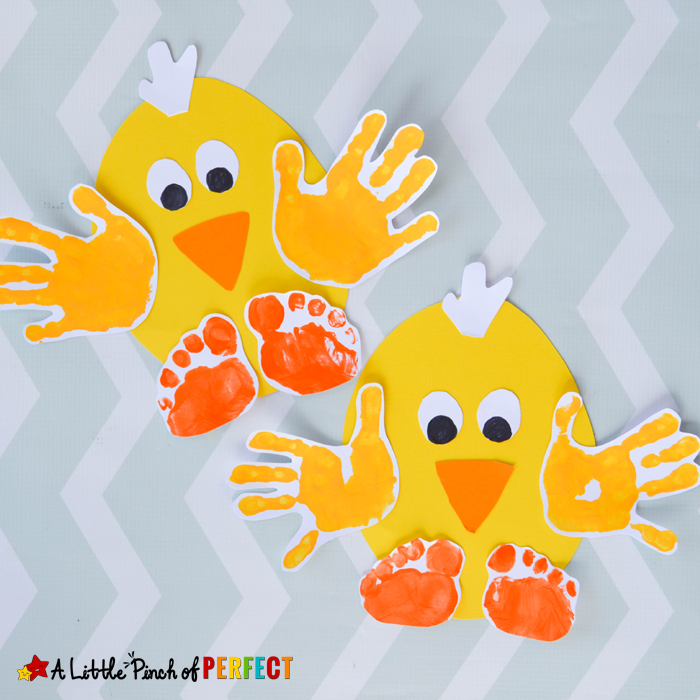 How sweet are these Handprint Chicks? I love this idea! 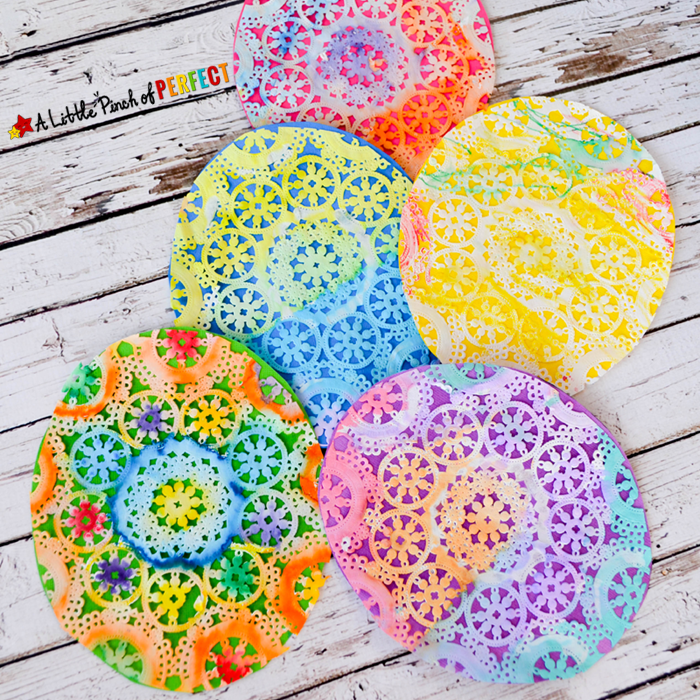 These Easter Egg Doilies are SO pretty! Use watercolor paints for a soft look! 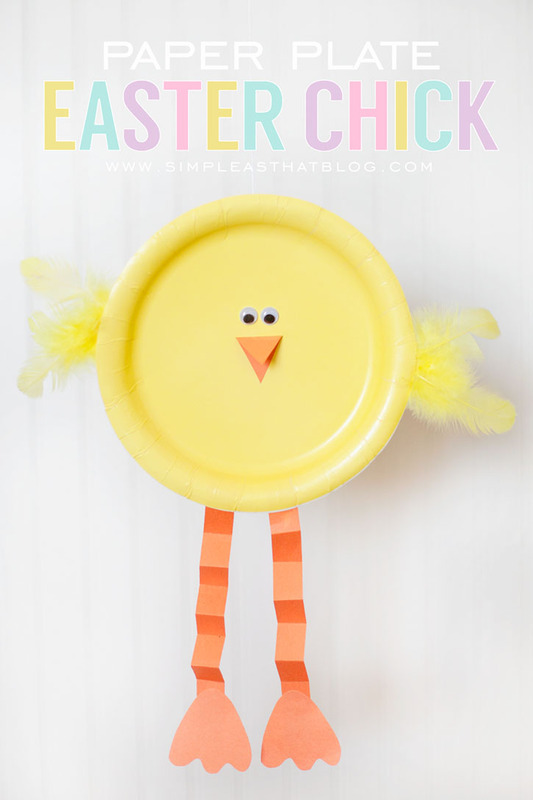 These Paper Plate Easter Chicks couldn’t be easier (or cuter!) to make! 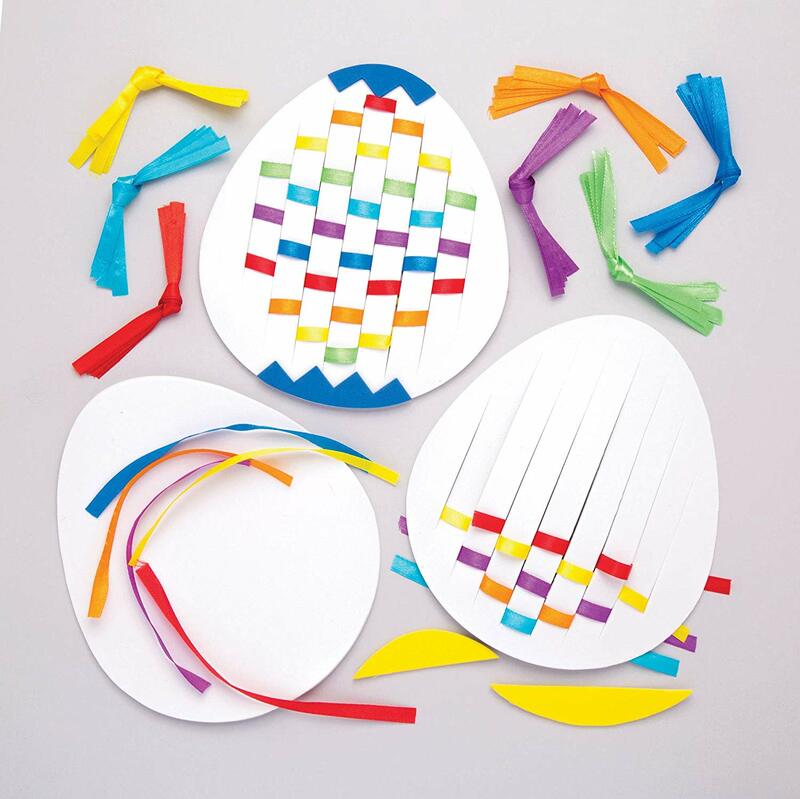 These Woven Ribbon Eggs are a fun twist on classic woven paper holiday crafts! 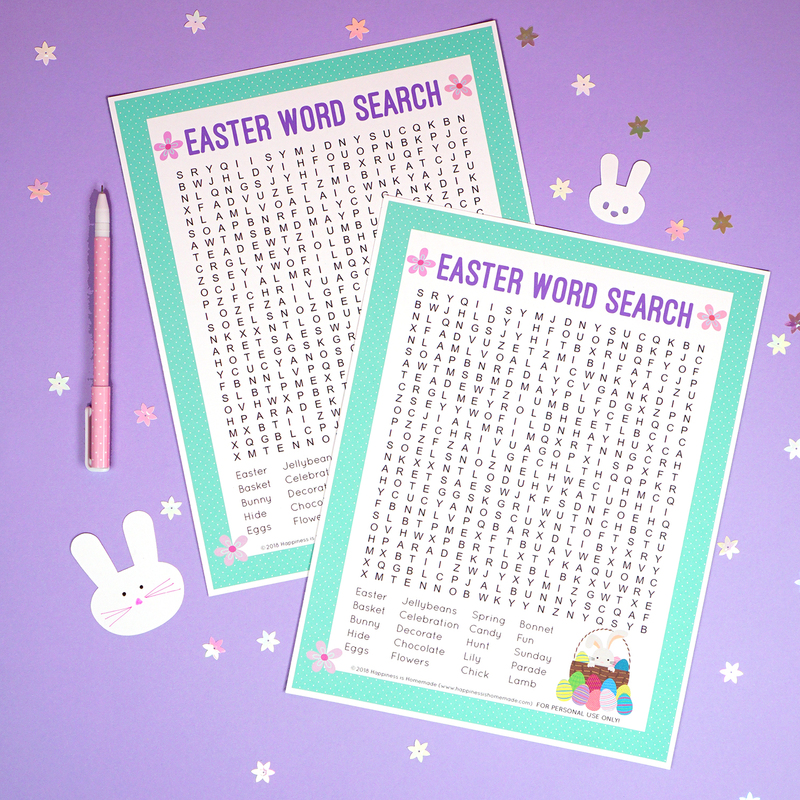 There are SO many fun Easter kids crafts in this collection that I’m sure you’ll find a project that’s perfectly suited to your needs! Happy Easter crafting! 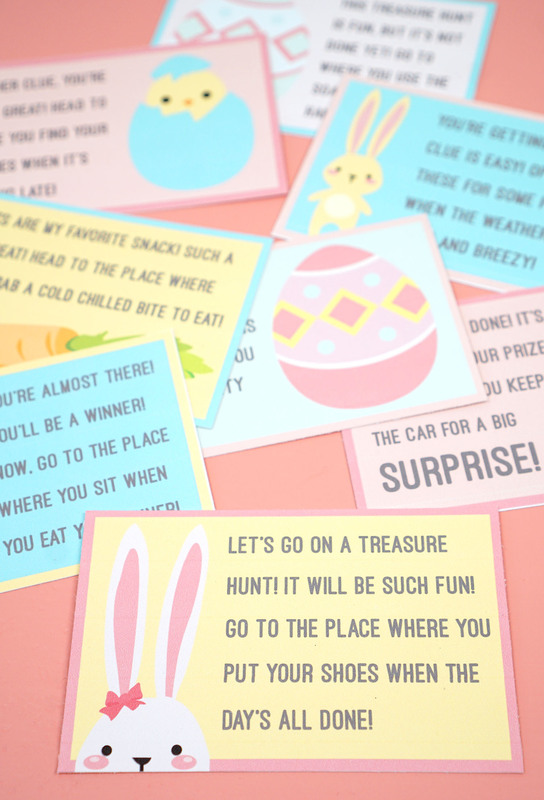 Pin these Easter Kids Crafts for Later!